We promote health and nurture the body through Nutrition, applying a holistic approach to your cancer treatment. 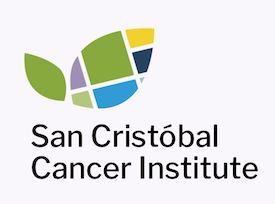 The goal of our Nutrition team at San Cristóbal Cancer Institute is to inform, inspire and uplift patients and loved ones as they navigate the challenges of a cancer diagnosis and treatment while nurturing their bodies. Through research, careful application and proven results, our team of nutritionists have the expertise to develop a custom dietary plan for patients – and their family units – that corresponds perfectly with their specialist’s recommendations and treatment goals. With our careful guidance, patients learn precisely how much protein they’ll need, the best sources for nutrients for their bodies, foods that better react to certain treatment types, and delicious ways to enjoy them. Bodies experiencing cancer undergo many changes and our nutritionist will teach patients which foods may be helpful and which ones may be harder to digest, for example.